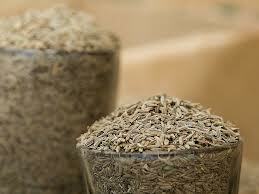 Regular usage of cumin in your food helps in keeping your skin free from boils, rashes, pimples etc. This is because it has components such as Cuminaldehyde, Thymol and phosphorus which are good detoxifying agents, facilitating regular removal of toxins from the body through the excretory system and not through boils. If you are suffering from acne or boils, you can try applying vinegar with ground cumin seeds.